← A Festival All About Beer, Bourbon And Barbecue! This is the 62nd time collectors have gathered in Central New York for this, one of the biggest shows of the year. The date is Sunday, January 27, 2013. 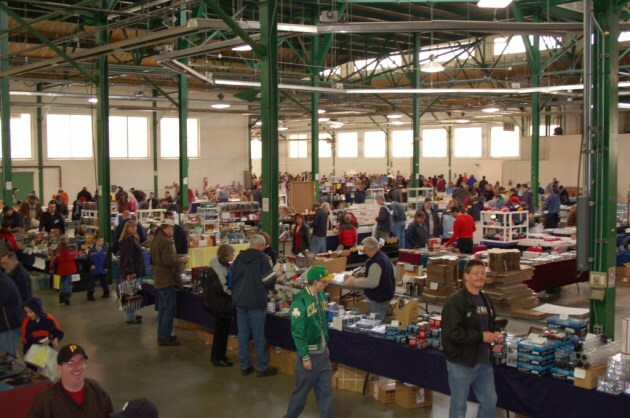 More than 150 tables and vendors will pack the giant Horticulture Building at the New York State Fairgrounds for this massive exhibit and sale of hard to find toys, racing collectibles and sports memorabilia. The vendors change and additions are welcome every year to insure that this longtime event is always a must stop for collectors all over the Northeast! Thousands To Descend On Syracuse For Massive Holiday Arts And Craft Festival!In "Arts"
This entry was posted in Onondaga County and tagged collectorsfest, new york state fairgrounds. Bookmark the permalink.